Doral is very popular with business professionals who have offices in South Florida. Because it is close to the major thoroughfares and transportation hubs, it is becoming the top choice for those who frequently travel in and out of the area. With Doral real estate sales increasing every day, more listings are also on the rise in terms of the number of listings as well as the range in prices. Following are the top five newest Doral real estate listings. Located in the exclusive Islands at Doral, this 3,600+ square foot home has a gorgeous Mediterranean architecture with a barrel roof and large a two-car garage. It has everything a buyer looking for a luxurious home wants from the large gourmet kitchen to beautiful tropical landscaping surrounding the property. The open floor plan showcases double height ceilings in the formal living room. In the kitchen, home owners can enjoy stainless steel appliances, quartz counter tops with a glass back splash, and lots of cabinet space. Beautiful marble floors meander throughout the entire first floor from the foyer to the family room in the rear of the home. Upstairs, the huge master suite includes a large dressing area with his and hers walk-in closets as well as a large spa-like master bath. The other upstairs bedrooms each have private baths. Hardwood floors flow throughout the upstairs. There is also a first floor guest room which is a huge bonus with this home. Outside, a marble slab sundeck surrounds the private pool and Jacuzzi that looks out over the private lake. 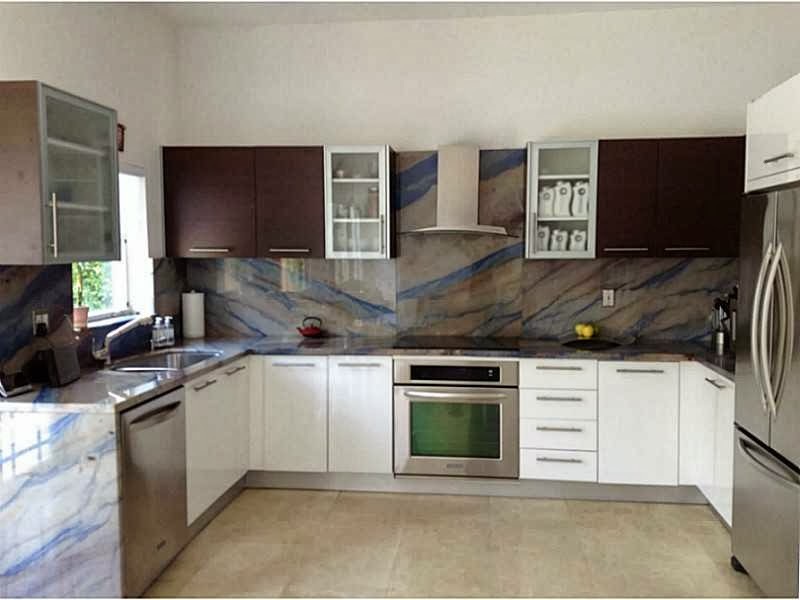 This house is listed turn-key furnished as well making this a perfect home for luxury Doral real estate buyers. For buyers wanting a one-story home, this is a wonderful in gated Doral Isles. With four bedrooms and two and a half baths, the open floor plan offers tons of room and space in a spectacular neighborhood. Inside there are marble floors throughout the entire home along with other high-end fixtures and finishes. The kitchen is unbelievable with custom built cabinetry, stainless steel appliances and beautiful granite counter tops with complementing granite back splashes. The master suite includes a wonderful private bath and lots of space. Additionally, there is a two-car garage with a brick-paved driveway. Outside, there is a huge backyard with a large patio area and plenty of room for a pool. Doral Isles is perfect for families and those wanting a second home in a safe and secure neighborhood. There is a phenomenal clubhouse with two unbelievable pools as well as huge playground, sports fields and more. 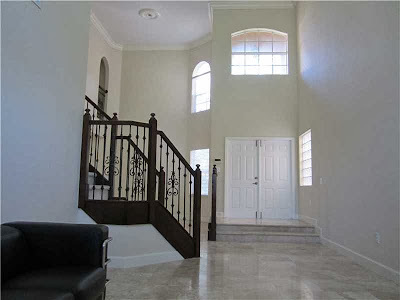 This home needs to be on the short list of Doral Isles home buyers. This 3,100+ square foot home is located in Doral Isles St. Croix and offers lots of space to move. The home is ideal as it has a first floor guest room and bath in addition to four other bedrooms on the upper floor. The kitchen is large with custom cabinets, an island with a raised breakfast bar, granite counter tops, a tile back splash and recessed lighting to light the work space for gourmet cooks. The double height ceilings in the foyer and living room provide lots of space. 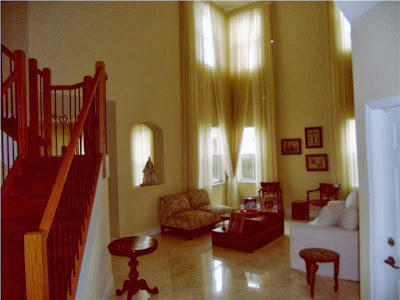 There are marble floors on the first floor as well as all the baths with carpet on the second level. Even though there are already three baths, there is plenty of room to easily add an additional bath. With the three-car garage as the icing on the cake, this is truly a remarkable home in an even more remarkable gated neighborhood with so many community amenities. Situated on a corner lot, directly across from large green space/park area, this beautiful 3,100+ square foot home faces a lush and tropical green space that is ideal for kids’ play not to mention a wonderful view. Inside some of the features include amazing double height ceilings at the entrance and into the living room, marble floors throughout the first floor and a great gourmet kitchen with custom cabinets, granite counter tops and back splash and stainless steel appliances. There is also a raised breakfast bar on the side of the kitchen island. There is also a family room and first floor room that is perfect for a bedroom or home office. Upstairs, the bedrooms, computer nook and hall have hardwood floors while the bath floors are marble. The Islands at Doral is a perfect family neighborhood with tons of amenities including the Island Club and its pools, playground, fitness center and more. For luxury home buyers, this is definitely a property for consideration. With 3,000+ square feet of living space, this completely remodeled home features four bedrooms and four baths with one bedroom and bath on the main level. The foyer and living room are open and bright with double height ceilings and tons of windows. In the kitchen there is even more space with tons of granite counter space, custom cabinetry and stainless steel appliances as well as a large breakfast area. Along with a formal dining room, a large family room and a laundry and utility room, there is tons of room for a large family. Upstairs, the master suite is large and includes a sitting area, a private master bath with a double sink and vanity, and a walk-in closet. In addition to a two-car garage, there is definitely room for a pool in the backyard off the covered patio. 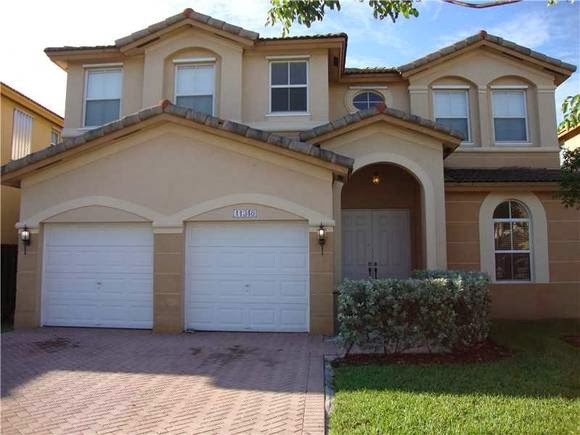 This is a fantastic home and priced at under $200/square foot, it is a great investment in a premiere Doral neighborhood. Luxury Doral real estate is more affordable than in other Miami-Dade cities. With the real estate market rebounding, the number of new listings continues to increase. 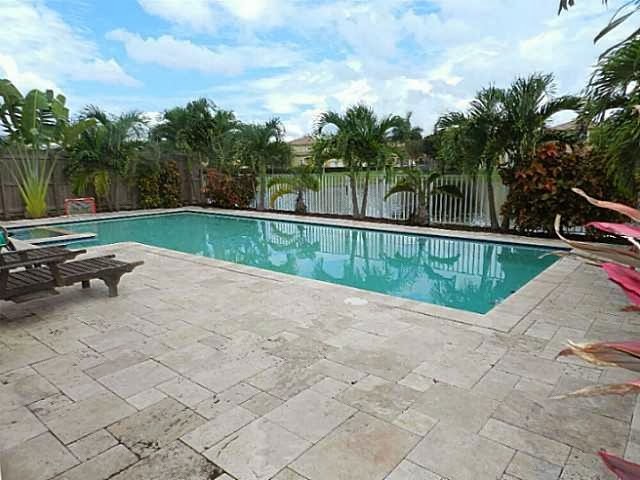 These homes and others are worth consideration as they are excellent investments and offer luxury in Doral’s top neighborhoods at affordable prices.